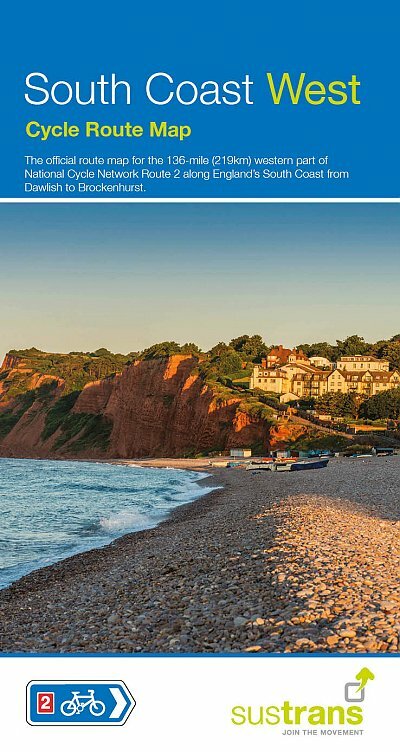 The official route map for the 136-mile (219km) western part of National Cycle Network Route 2 along England's South Coast from Dawlish to Brockenhurst. 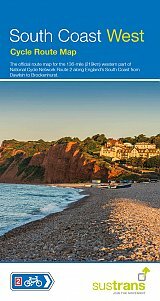 Starting in the Victorian seaside town of Dawlish - currently the western terminus of NCN2 - it follows the Exe Estuary Trail which runs up and down opposite banks of the estuary, a site of international importance for wading birds. Before swapping sides at Countess Wear, you could continue your ride up the River Exe and visit the historic cathedral city of Exeter with its numerous attractions, which is just a short detour away via NCN34.